One extra serving of citrus a day – on top of the recommended five daily servings of fruit and vegetables – could also reduce the risk of stroke by 19%. "Citrus fruits protect the body through their antioxidant properties and by strengthening the immune system, inhibiting tumour growth and normalising tumour cells" stated CSIRO researcher Katrine Baghurst. The Australian study, which was based on 48 international studies on the benefits of citrus fruits, also found "convincing evidence" that citrus could reduce the risk of cardiovascular diseases, obesity and diabetes. Citrus fruits contain a range of key nutrients including high levels of vitamin C and significant amounts of dietary fibre, beta-carotene and folic acid. They have a low ratio of sodium to potassium, are low in fat and dietary energy, making them nutrient dense, energy-dilute foods with a low glycaemic index. Citrus fruits are also extremely rich in antioxidants. Increasing attention has been given to the sum of biologically active elements found in citrus fruits – particularly their plant-based non-nutrients called phytochemicals – because of the role they might play in preventing a range of chronic conditions including cancer and heart disease. Increasing attention has been given to the role citrus fruits might have in preventing cancer, coronary heart disease, stroke, diabetes, cataracts, arthritis, macular (vision) degeneration, Alzheime's disease and inflammatory bowel disease. Citrus fruits have the highest antioxidant capacity of all fruit classes ranging from 100umol/100g Trolox Equivalents for grapefruit to 700umol/100g for some oranges. While ascorbic acid accounts for a great proportion of the antioxidant activity, other components such as non-nutrient carotenoids, Polyphenols like flavonoids, glutathione and various enzyme systems may also contribute. CSIROs The Health Benefits of Citrus Fruits is the most comprehensive review of research into this area and shows a compelling trend of protection against various types of cancers from the dietary intake of citrus fruits. 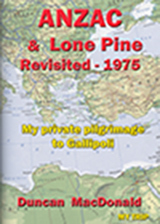 CSIRO reviewed all the case-controlled and cohort studies into cancer and citrus consumption from around the world, including those for colorectal, stomach, lung, breast, prostate, bladder, oesophagael, oro-pharyngeal, naso-pharyngeal, laryngeal, pancreatic and female reproductive tract cancers. The report tables 48 studies that show a statistically significant protective effect against some types of cancer from citrus consumption and a further 21 studies that show a non-significant trend towards protection. This follows an earlier report by the World Cancer Research Fund  which concluded the evidence for a protective effect of citrus consumption on cancer is particularly abundant. In particular it found convincing evidence for citrus consumption as protective for stomach cancer and a possible protective role in oral and oesophageal cancer. Overall the greatest protection from increased citrus consumption appears to be for mouth, larynx, pharynx and stomach cancers where studies showed risk reductions of 40% - 50%. One large US study showed that one extra serve of fruit and vegetables a day reduced the risk of stroke by 4% and this increased by 5 – 6 times for citrus fruits. This indicates a 19% reduced risk of stroke from one extra serve of citrus fruit a day. A British study published in 2003,  found women who drank ½ to 1 litre of orange, grapefruit or apple juice daily, reduced their urinary pH value and increased citric acid excretion, significantly dropping their risk of forming calcium oxalate stones (kidney stones). Evidence of positive effects associated with citrus consumption or components found in citrus can also be found in studies for arthritis; asthma; Alzheimer's disease and cognitive impairment; Parkinson's disease; macular degeneration; diabetes; gallstones; multiple sclerosis; cholera; gingivitis; optimal lung function; cataracts; ulcerative colitis and Crohn's disease. As low fat, nutrient dense foods with a low glycaemic index, citrus fruits are also protective against overweight and obesity (and as a result Type 2 diabetes), conditions which increase the risk of heart disease, certain cancers, high blood pressure and stroke and add to symptoms of other conditions like arthritis. Some of the simplest ways to incorporate citrus fruit into the daily diet include drinking freshly squeezed citrus juices, adding citrus flesh, rind or juices to marinades, deserts and meals and eating orange or mandarin slices for between meal snacks. originated over 6,000 years ago in the region from southern China to Indonesia, from where they very slowly spread to India. 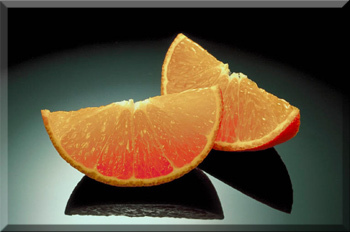 The word "Orange" probably originates from Sanskrit. Although Renaissance paintings display oranges on the table in paintings of The Last Supper, the assumption that they were grown in that region at that time seems to be erroneous since oranges were not cultivated in the Middle East until sometime around the 9th century. Sweet oranges were introduced into Europe around the 15th century by various groups including the Moors, Portuguese and Italian traders and explorers who found them on their voyages to Asia and the Middle East. 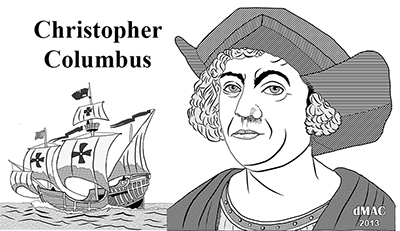 Christopher Columbus brought orange seeds to the Caribbean Islands on his second voyage to the New World in 1493. Spanish explorers were responsible for bringing oranges to Florida in the 16th century, while Spanish missionaries brought them to California in the 18th century. 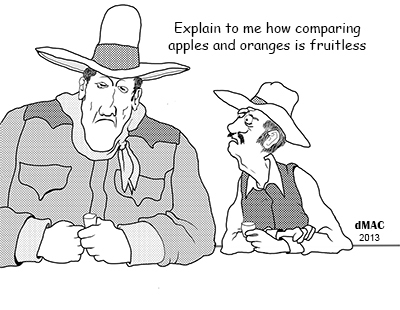 Oranges were introduced to Australia in the early 19th century. Before the 20th century oranges were very expensive and therefore were not regularly consumed, but rather eaten on special holidays such as Christmas. After more efficient means of transportation were developed, the prices dropped and they were consumed on a wide scale. Countries producing the largest commercial crops include Brazil (world's largest supplier of orange juice), Mexico, Spain, USA, China, Israel and Australia. There is an increasing presence of counter-season citrus fruits going from the Southern to the Northern Hemisphere, contributing to year round availability. 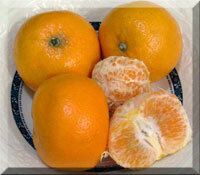 Navel Oranges originated in Italy. It is seedless, sweet and very popular to eat. Valencia Oranges originated in Spain. It has few or no seeds, is very sweet and is best for juicing. Seville Oranges are rather bitter and not usually eaten raw. They are mostly used in making marmalade. Originated in the West Indies in the 1700s and were so named because they grow in clusters, like grapes, on trees. There are three types of grapefruit depending on their flesh colour: white, pink and ruby. A traditional healthy breakfast, it is one of those fruits you either love or hate. Its flesh has a bitter taste so sugar is often added when eaten raw. Grapefruit juice, with its distinctive taste can really wake you up. As with all citrus fruit it is high in vitamin A and C.
Little known fact: Oranges do not ripen after they are picked, . . but lemons do. Are a small green fruit which is simply squeezed to add the fresh juice to any dish. 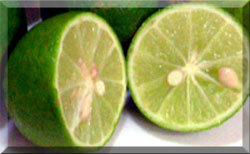 Lime juice is often associated with Asian cooking. Thai dishes often use lime juice to give that extra tang and tropical drinks and cocktails often require a dash of lime juice. 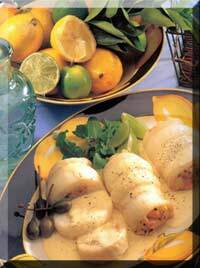 Lime is also a classic flavour added to fish dishes. Vitamin C in limes is famed thanks to British sailors who used to eat limes to prevent scurvy, earning the nickname of "Limeys. Interestingly limes have one of the lowest vitamin C content of all citrus fruit: oranges and lemons both have much more. have the sharpest taste of all citrus fruit. It gives a distinctive twang to many favourite dishes. 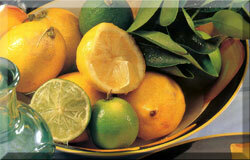 Lemon juice is widely used for its sharp flavour and low sugar content. 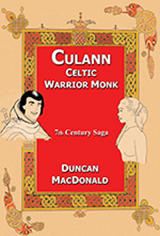 It is used in both savoury and sweet dishes as well as in drinks. Very high in vitamin C, lemon is used to boost your immune system and fight off colds. also known as Tangerines (originated in Tangiers North Africa) and Satsumas (originated in Japan), is a small juicy orange fruit. Typically these fruit are smaller than an orange with easily loosened skin and are favoured at Christmas time and Chinese New Year celebrations. The CSIRO’s report shows a compelling trend of protection against various types of cancers from the dietary intake of citrus fruits. An earlier report by the World Cancer Research Fund concluded similar results.